TGR Design courses are crafted in a thoughtful and deliberate manner to create fun, yet challenging tests of golf. Guided by the unique vision of Tiger Woods, each project dually emphasizes playability and strategy in order to create memorable courses that are enjoyable for players of all levels. As the first Tiger Woods design in the United States, Bluejack National is a world-class private golf club and community located in historic Montgomery County near Houston. Diamante is a world-class golf destination in the bustling, oceanside resort town of Cabo San Lucas, Mexico. The Oasis Short Course at Diamante provides a fun and casual experience for golfers of all levels and ages. "The Playgrounds” at Jack’s Bay will use the breathtaking Bahamian setting to feature a flexible layout, with holes that range from 70 to 165 yards. Design public golf course in the United States. TGR Design will work with the land and incorporate the natural features of the site to create a distinct and memorable golf course. Inspired by the pristine setting on Oahu’s Leeward Coast, Makaha North Course will offer a unique island golfing experience to be enjoyed by all levels of players at Hawaii’s premiere golfing destination by Pacific Links International. The Oasis at Diamante will transport golfers from the open desert of Southern Baja into a place of dramatic beauty. Chicago's historic Jackson Park and South Shore golf courses will undergo a transformative restoration by TGR Design into an 18-hole championship course. TGR Design created and built a practice facility of tournament-conditioned turf and bunkering that recreates the look, feel, and playability of various major courses. Set among the majestic Ozark Mountains, near the Big Cedar Lodge, Payne's Valley will be the first public TGR Design golf course in the United States. Collectively possessing over 85 years in the golf industry, the TGR Design team is comprised of seasoned professionals with global experience in all facets of golf course design. Jack’s Bay Developers, Beacon Land Development and TGR Design have announced the development of Jack’s Bay — a premier destination for a paradise property and a private club in the Bahamas. Woods is stepping into course design on a major scale, with work to show and plenty to come. Tiger Woods made a big splash as a course designer in 2017, earning top honor as Architect of the Year. After months of speculation and chatter, Tiger Woods Design's new Chicago project has revealed specifics. The Chicago Parks Golf Alliance and TGR Design representatives unveiled the proposed layout Wednesday night during a public meeting at the South Shore Cultural Center. Let’s just say 2020, the year of the targeted debut for the course, can’t come soon enough after seeing TGR’s plans. A golfer’s imagination truly is in overdrive in trying to envision the final result. Tiger Woods’ design firm on Wednesday released final designs for a multimillion-dollar plan to merge the Jackson Park and South Shore golf courses into PGA-caliber links, a vision met with cautious optimism as city officials presented the idea to South Side residents. 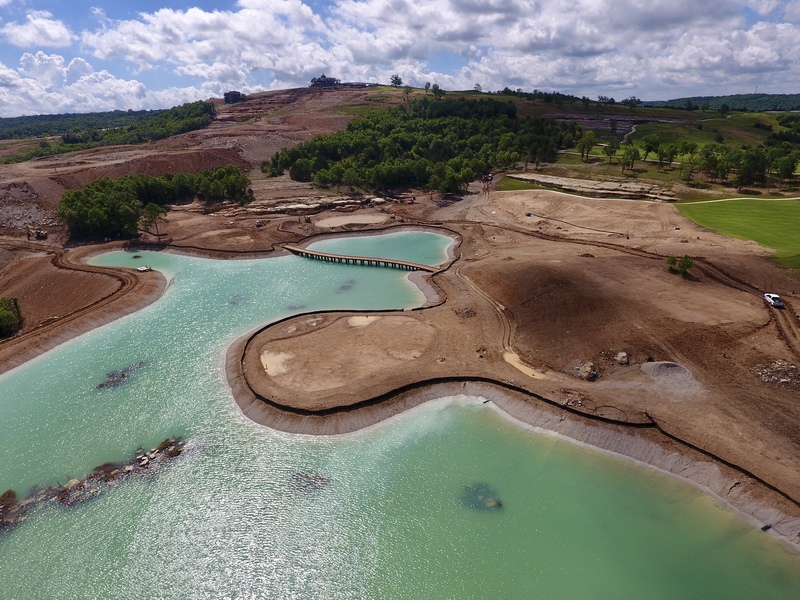 Big Cedar Lodge, in conjunction with TGR Design, Woods' design firm, and Bass Pro Shops founder and CEO Johnny Morris, announced on Tuesday that the new course, Payne's Valley, is scheduled to open in 2019. Morris and Tiger Woods announced Tuesday a partnership with the family of the late Payne Stewart, a Springfield native who became a PGA Tour star before he died in a plane crash in 1999, to create the first public access golf courses designed by TGR Design. TGR Design announced Tuesday that it has inked a deal to build its first public-access course, called Payne's Valley, for the Big Cedar Lodge in Ridgedale, Mo., just south of Branson on the Arkansas border. Woods took to social media this week to show off The Oasis, a short course at the Diamante Cabo San Lucas Resort, a site where Tiger has also designed a championship course. Golf champion Tiger Woods has revealed he is ‘excited’ that his new 12-hole par 3 course will bring golf to players of all abilities and ages now that it has opened at Diamante Cabo San Lucas in Mexico. Tiger Woods has worked on a second career in his considerable spare time the past few years. Woods the architect debuted his first completed course design in the United States, Bluejack National, in Montgomery, Texas, 50 miles north of Houston. Tiger Woods is highlighting a major new resort project on the island of Eleuthera in the Bahamas. The new Jack’s Bay project is the brainchild of Jack’s Bay Developers, Beacon Land Development and Woods’ TGR Design. Dubbed "The Playgrounds," the course will be 10 holes and routed on right on the coast of the Atlantic Ocean. There are plans for an 18-hole track as well, in addition to luxury cottages and beach-front estates that are currently under construction. Tiger Woods Design has been hired to create a new ten-hole golf course in the Bahamas, with plans also released for a full 18-hole course at the same site. The course will form part of a new resort named Jack’s Bay, which is located near Rock Sound on the island of Eleuthera. Tiger Woods Design will be working with Beacon Land Development and Jack’s Bay Developers on the project. On Tuesday, Woods and TGR Design announced the 41-year-old will helm a 10-hole short course in the Bahamas. Named "The Playgrounds," the course will sit on the Atlantic Ocean with a sister 18-hole links to follow suit. The courses will be part of a private development called Jack's Bay.